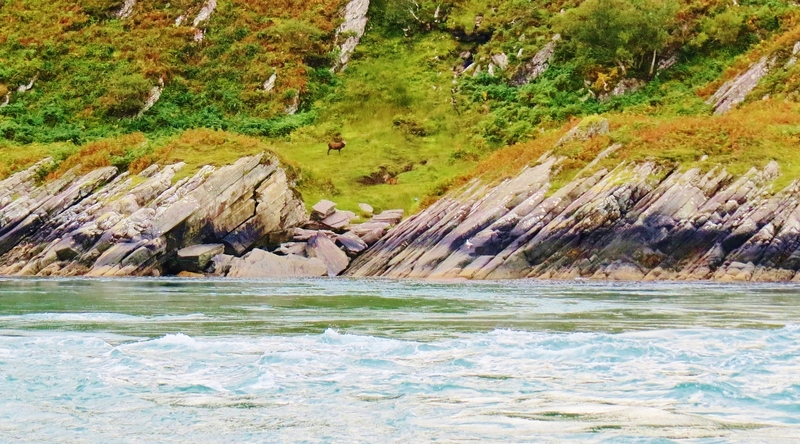 Jura is a nature-lover’s dream location. 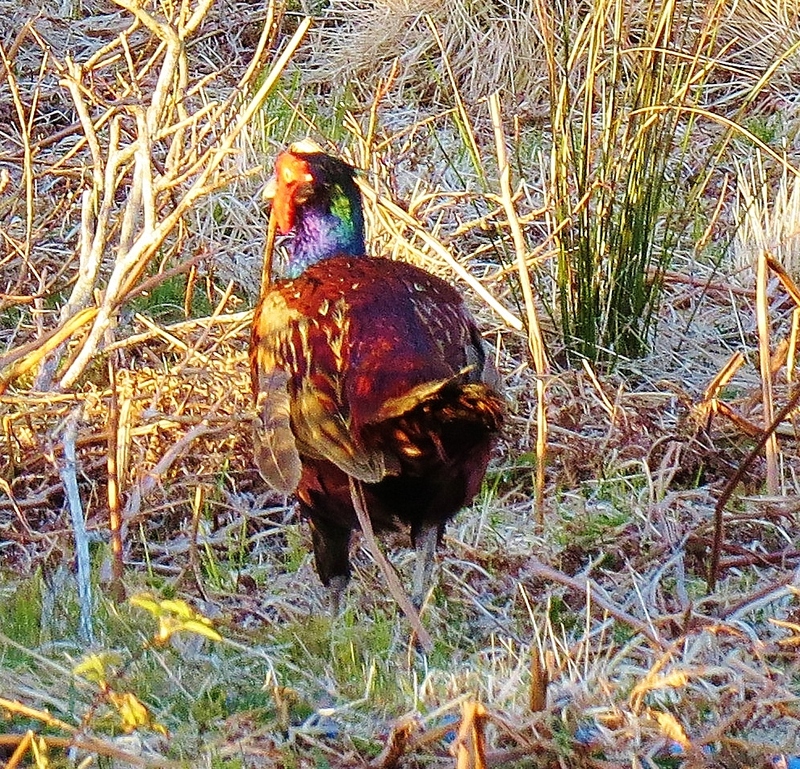 Of all the inhabited islands in the Southern Hebrides, Jura is the least developed and the richest in wildlife. 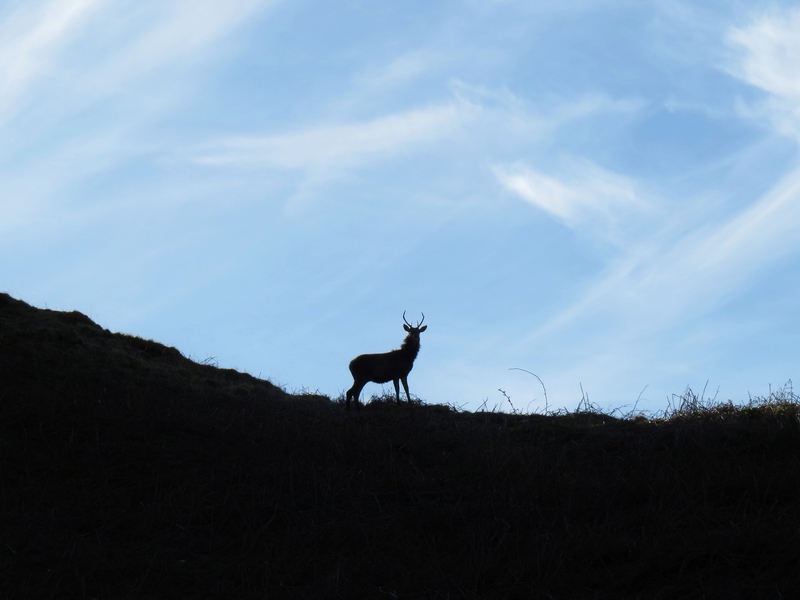 There are under 200 human residents but over 5,000 deer. The latter roam at will but stay clear of humans as much as possible. 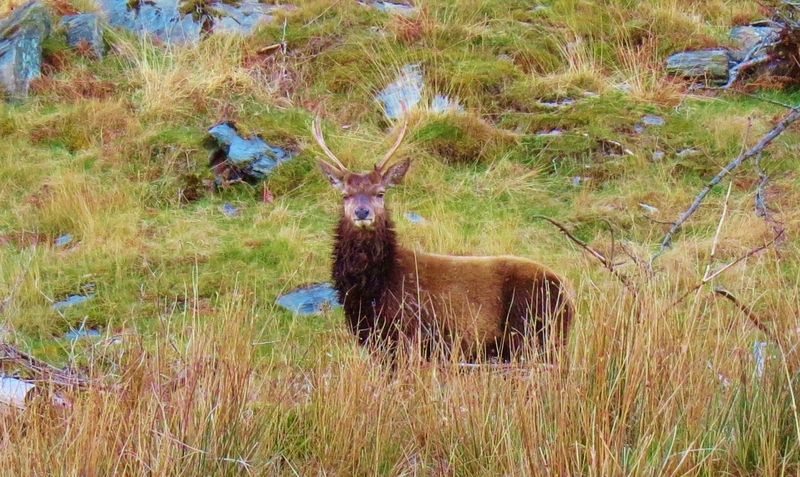 Sharing this wild habitat with the deer are stoats; hares; rabbits; wild, goats,otters and, in season, around 100 species of birds. Some, including bald eagles and herons and pheasants remain year round. 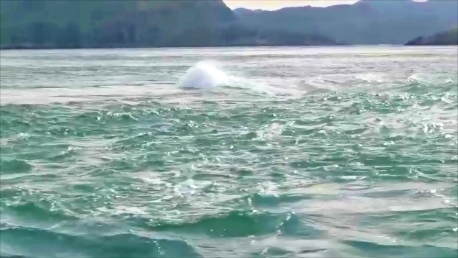 Jura is not for the faint of heart. 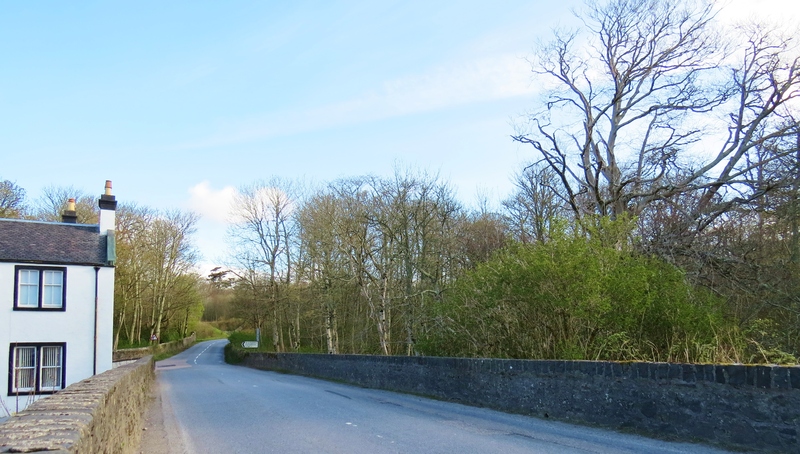 Its one road, on the east side, stops far short of the north end of the island, after which, a track fit only for pedestrian travel is the only option. 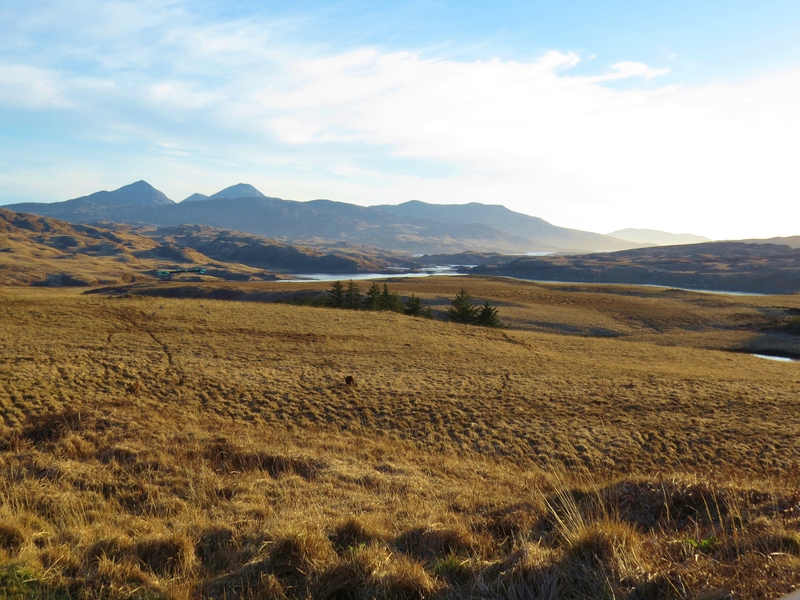 Much of the island is covered in blanket bog with mountains and rocky terrain comprising almost all the rest. The village where the majority of residents live is called Craighouse. 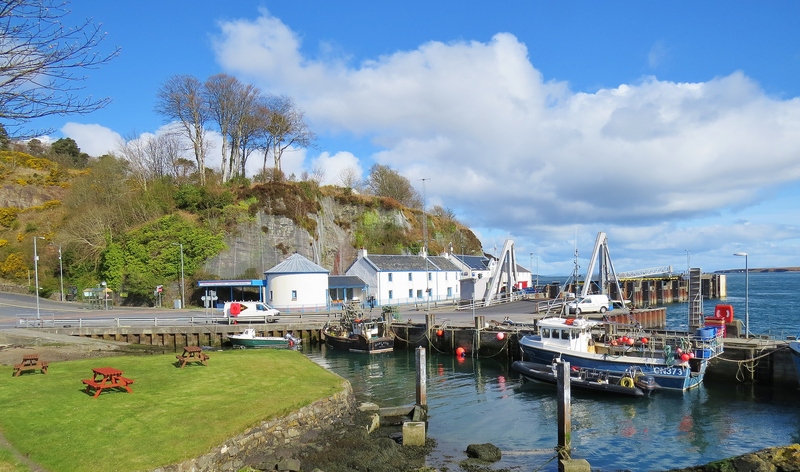 This tiny hamlet is the ‘big city’ by Jura standards. 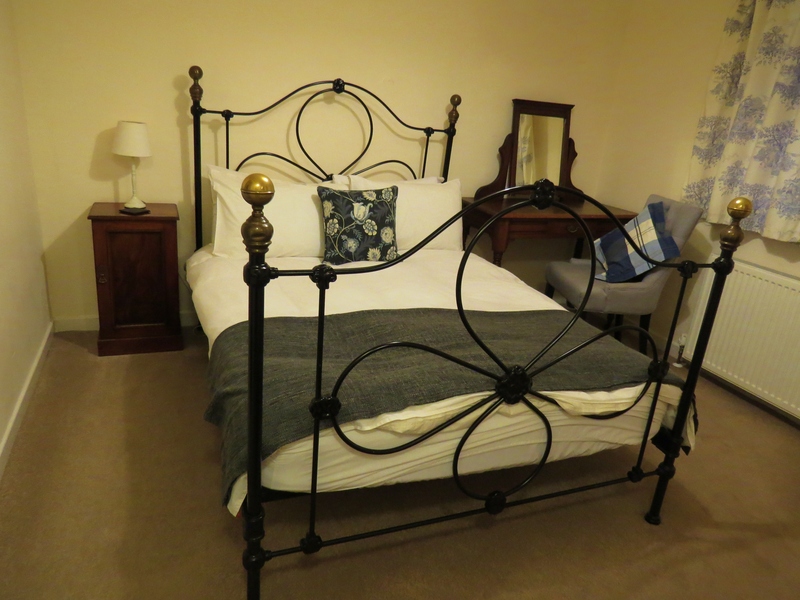 I would be remiss if I did not share a picture of my quaint hotel room and this rather splendid bed. 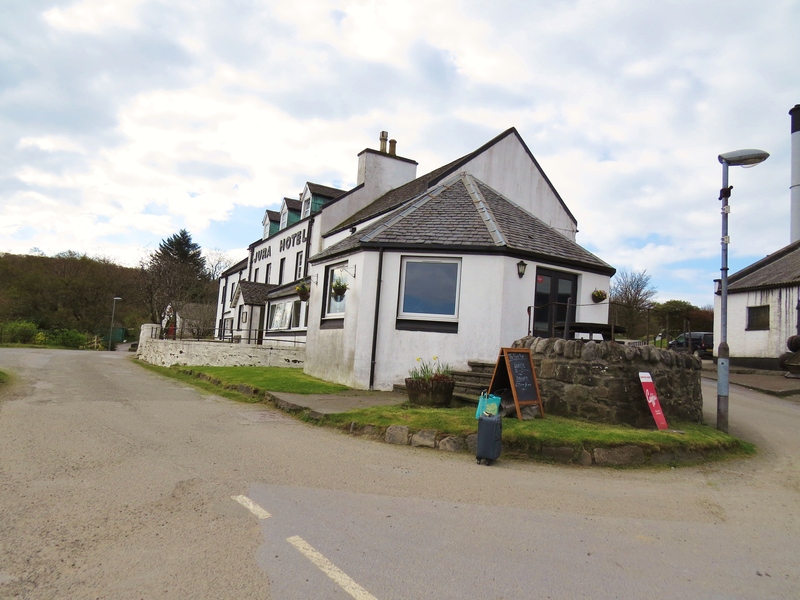 I found the Jura Hotel extremely comfortable with good food and friendly staff. 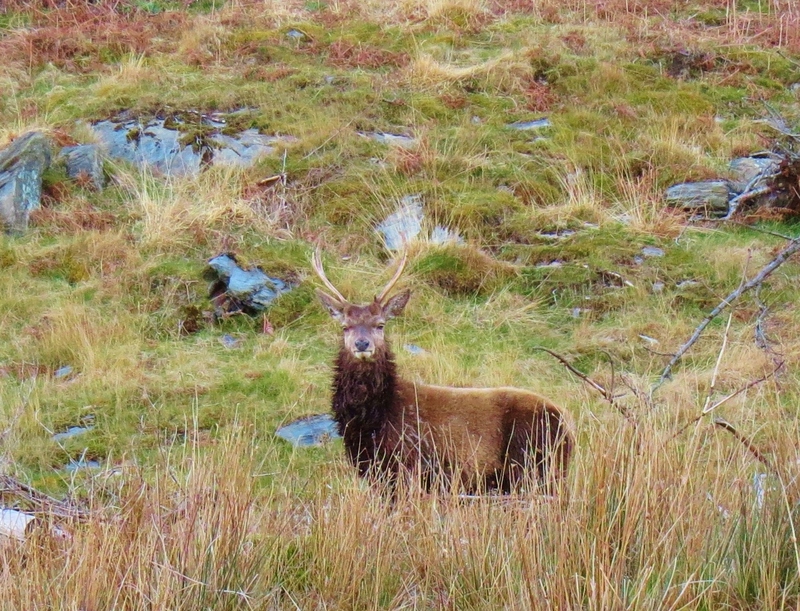 Watchful stag on Jura’s east side. Raised beaches were formed during the last ice age when the sea level suddenly dropped during a cataclysmic event. Over the centuries, the sand has become partly covered in sparse vegetation but the sand beneath remains barren. 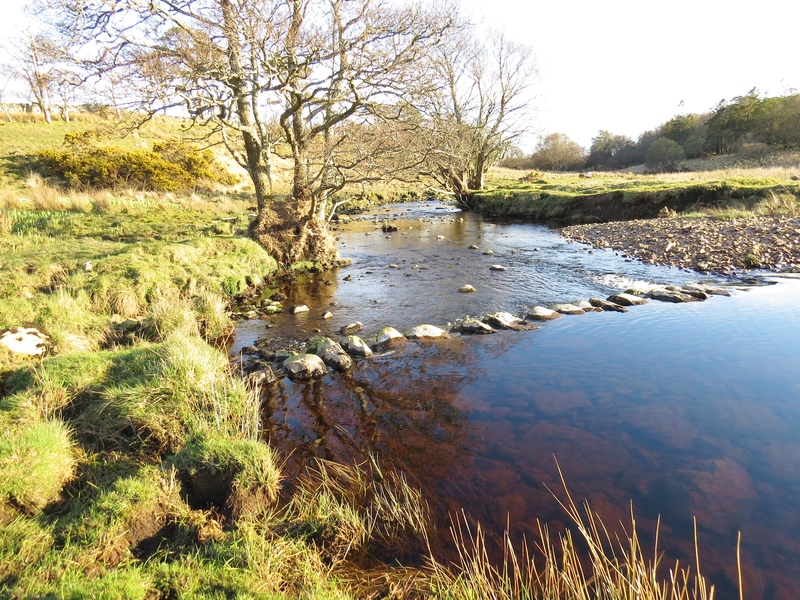 Today, even the highest tide does not reach the raised ‘platforms’. 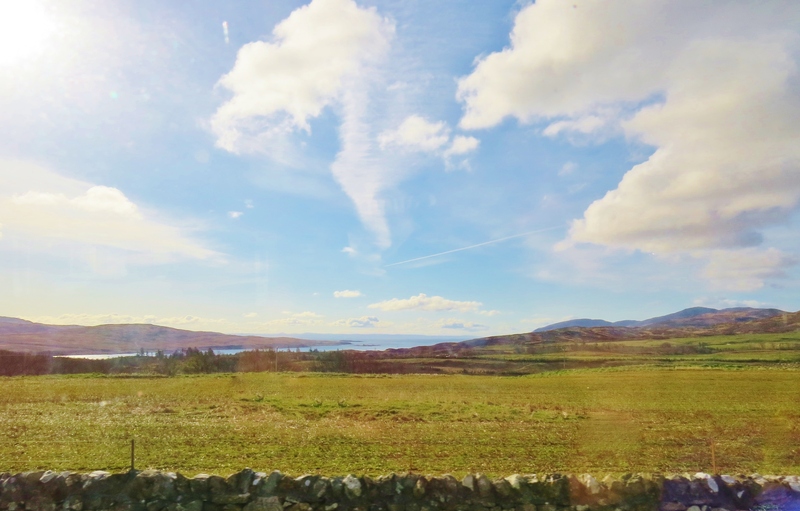 George Orwell, who lived in a remote cottage on Jura for many years where he wrote his famous novel ‘1984’, described his chosen island as ‘an extremely ungetatable place’. This was true in 1940 and is still true today. 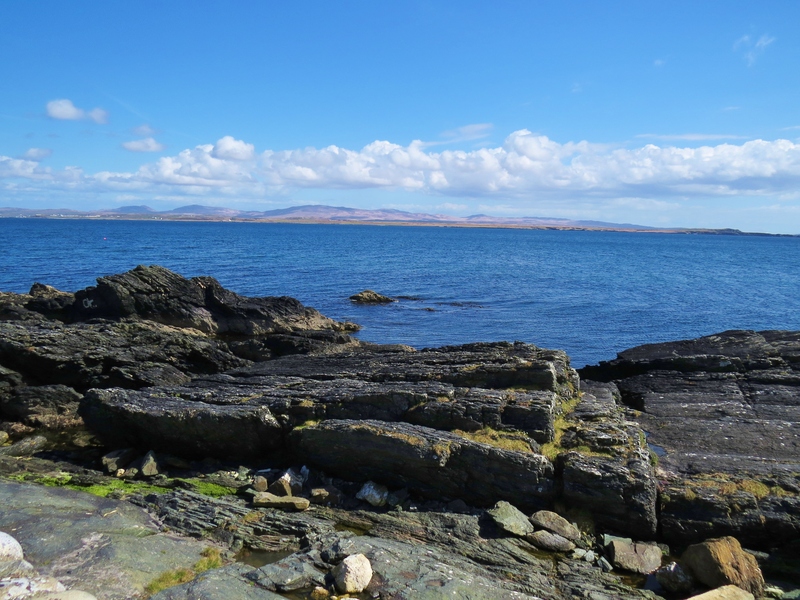 Limited access by sea due to the Corryvrekkan Whilpool at Jura’s north end, (see Joyful Journey: Part 12), along with the rocky coastline around the rest of the island, means there is no direct sea link with the mainland. 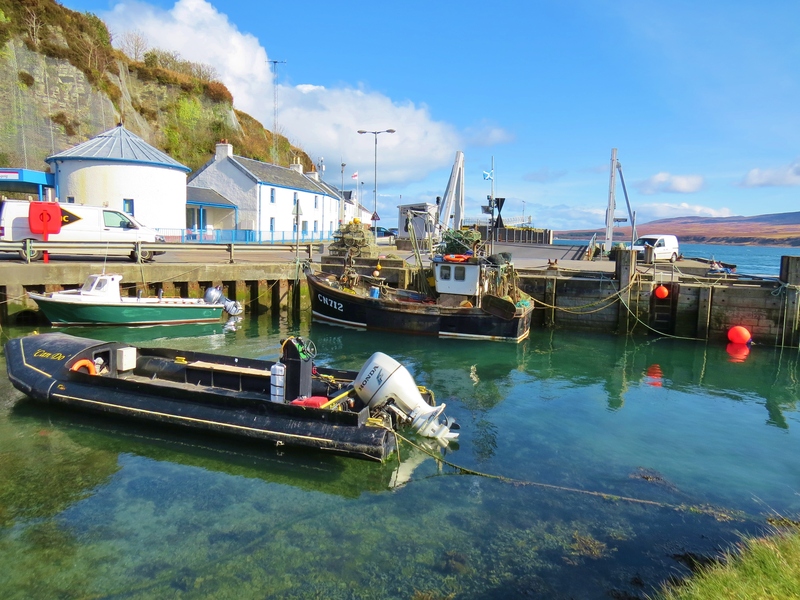 Travellers must got to the neighbouring island of Islay then cross the narrow strait on Jura’s west coast at an area known as Feoline, where a strange looking, ancient car ferry, – a motorised platform of sorts – plies back and forth across the narrow strait dividing the islands. 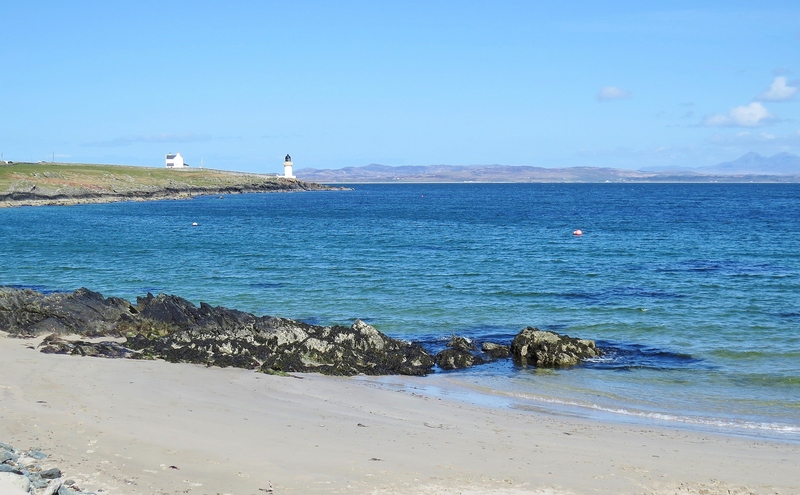 Though separated from Jura by a very narrow stretch of water, Islay, most southerly of the Southern Hebrides, could not be more different. 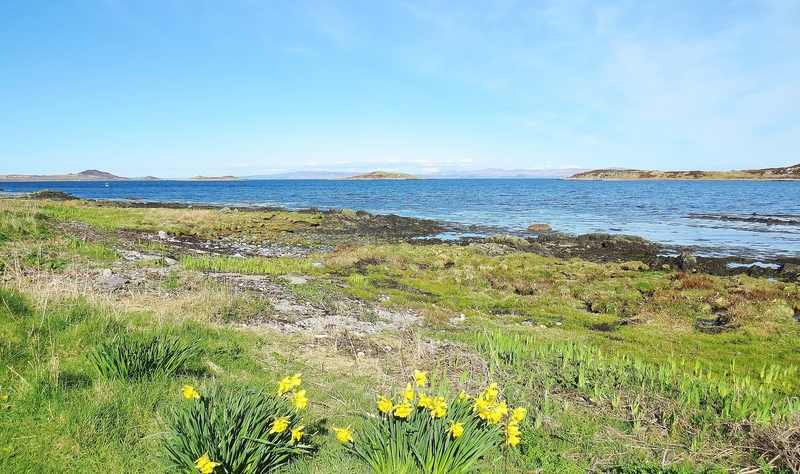 As with all the island in the Southern Hebrides, these neighbouring isles are nothing alike and both, while differing from each other, also bear no resemblance to any of the other islands in the region. 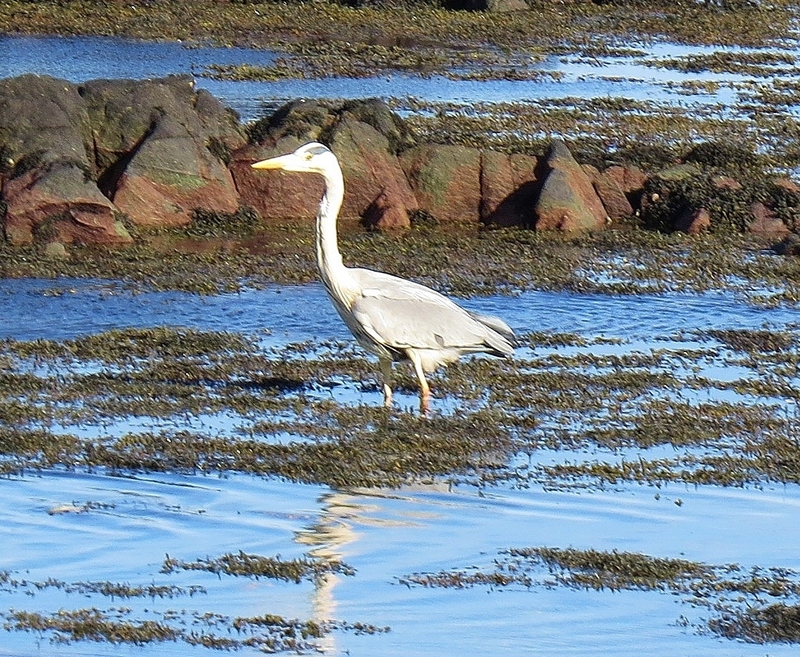 Scotland’s Sea Kingdom is amazing in its diversity. 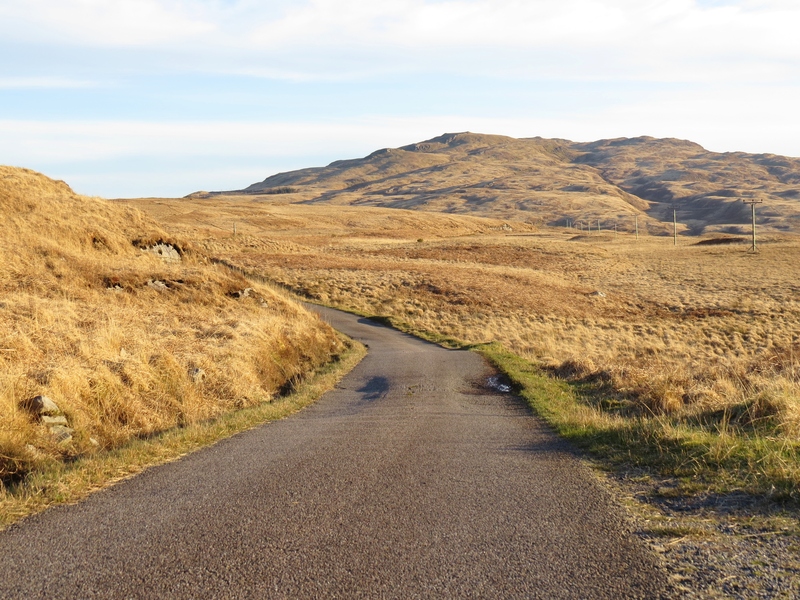 Where Jura is wild and barren, Islay is a fertile gentle, orderly, very civilised place that still manages to retain a feeling of physical remoteness. The population presently numbers 3,000. 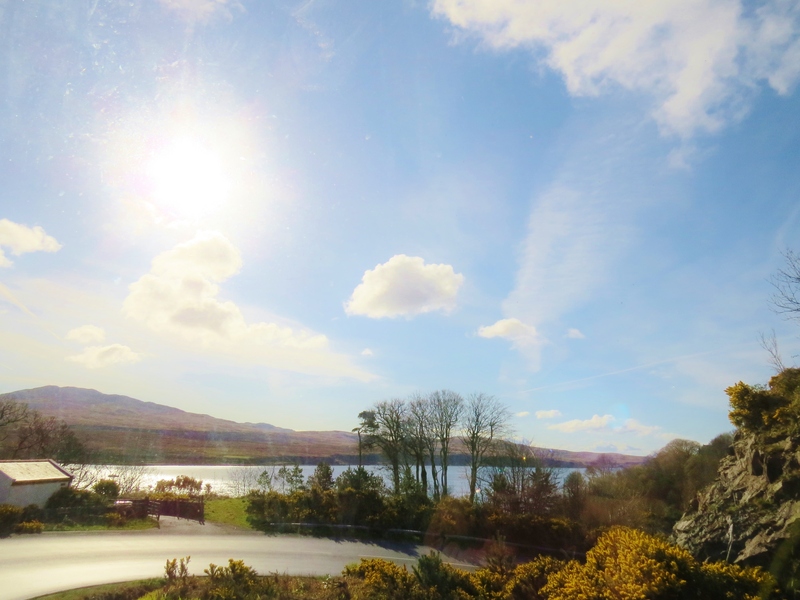 Buildings on Islay are all immaculately maintained, even the famous distilleries washed a gleaming white. The simple, no frills architecture creating a relaxing, orderly air. 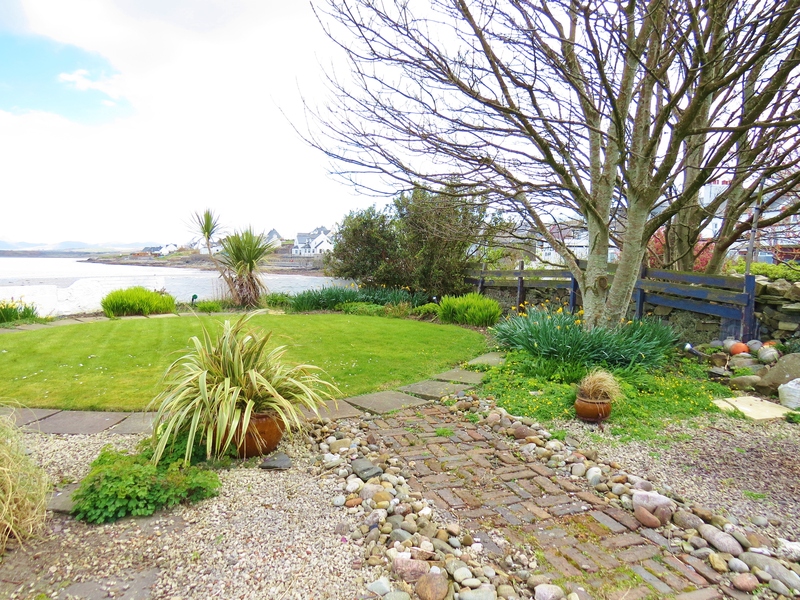 Perfect gardens and well kept farmlands along with beautifully maintained stone walls along many roads are in sharp contrast to the wildness of Jura and not replicated on any of the other Hebridean islands. Strangely, all this perfection, which would normally give a rigid feel, exudes nothing but charm. 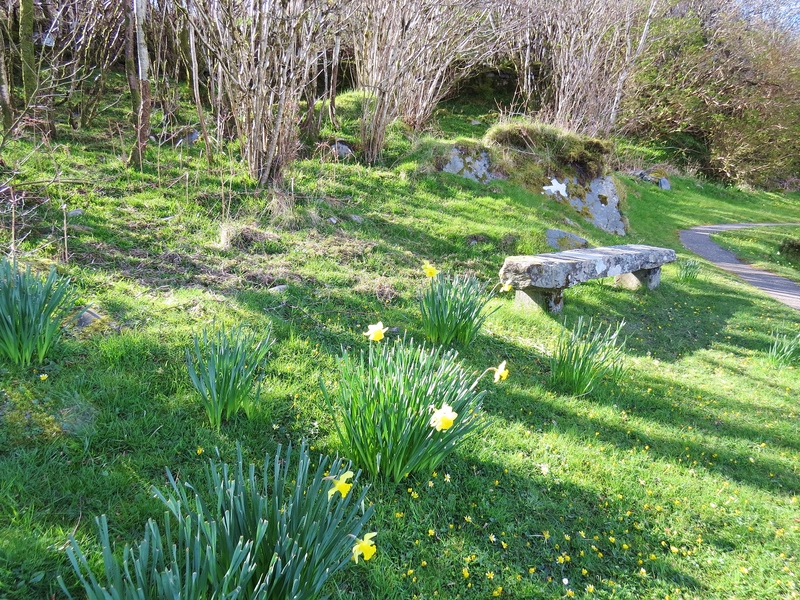 Where to stay: There is only one small hotel on Jura but they do allow tents in their grounds. 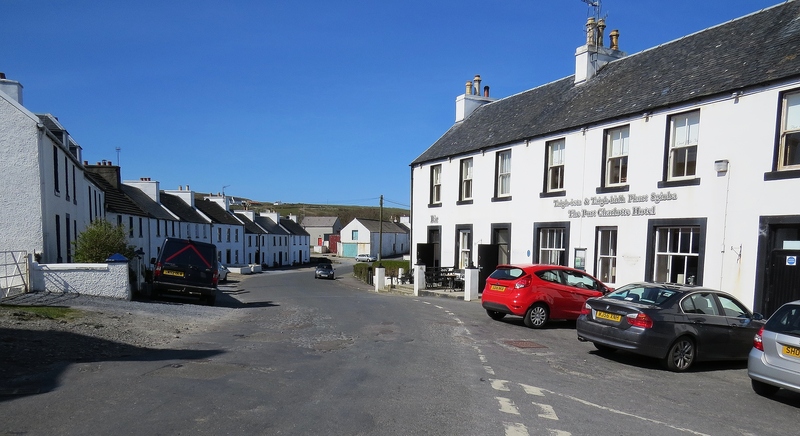 Islay has a handful of small hotels as well as a Youth Hostel where all ages are welcome. 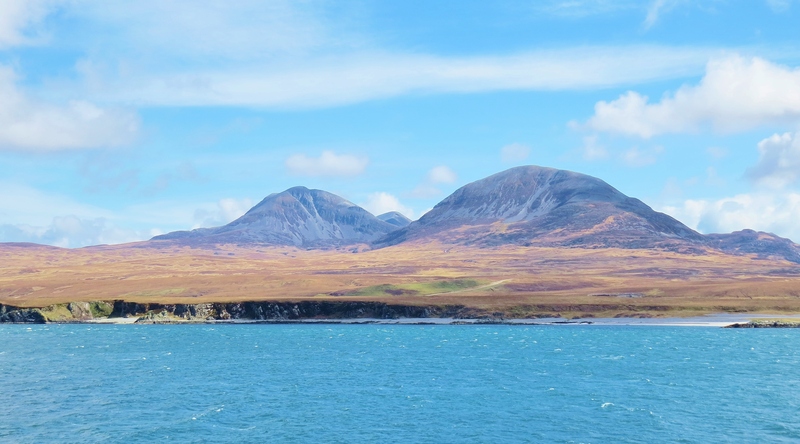 How to get there: There are several ways to get to the isles of Jura and Islay using public transportation. 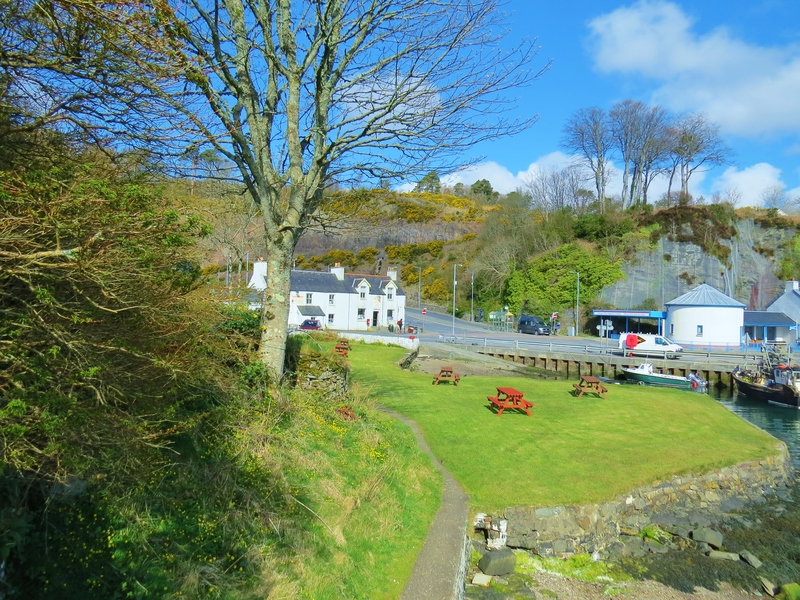 From Glasgow, buses go to Kennacraig where some of them meet the Caledonian MacBrayne ferry to Port Ellen or Port Askaig on Islay. Alighting from the bus at Askaig on the east coast of Islay, one can catch the local ferry across the narrow Strait of Islay to Feoline, situated at the south west corner of Jura, where a bus waits to take foot passengers to Craighouse, the nearest thing to a village on the island and where the Jura Hotel is situated. 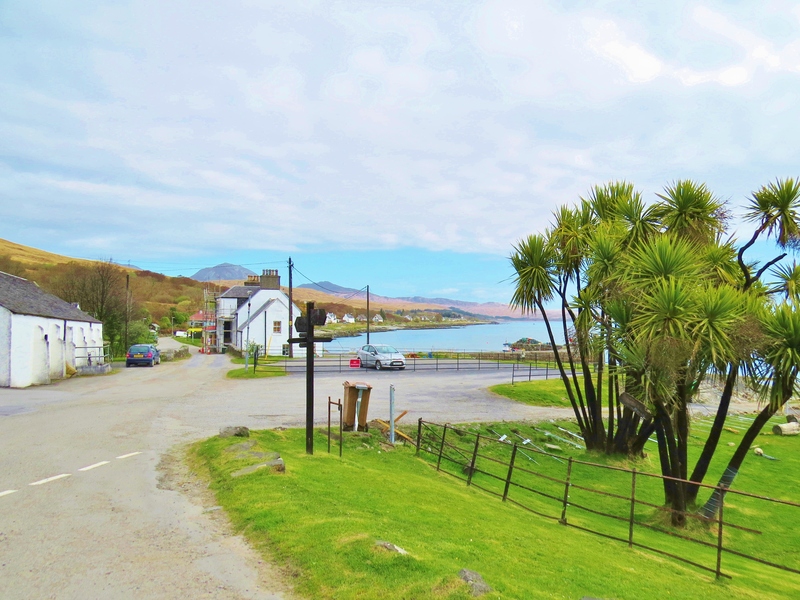 If a long bus journey on winding roads is a problem, a train goes from Glasgow to Oban, then a shorter bus journey takes travellers to Tayvallich where a high speed, privately owned ferry runs to Craighouse on Jura. Alternatively, a bus goes from Oban to Kennacraig via Ardrishaig to catch the CalMac ferry to Port Askaig This route will probably require staying for a night in Oban. These islands can also be reached by plane from London or Glasgow. 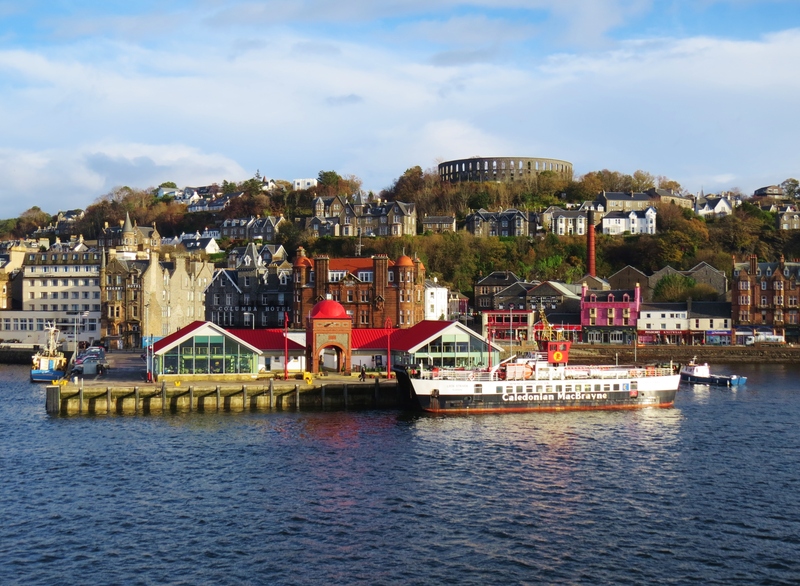 If going via Oban, it is well worth stopping over there for a day or two to take advantage of the myriad of things this ‘Gateway To the Sea Kingdom’ has to offer.